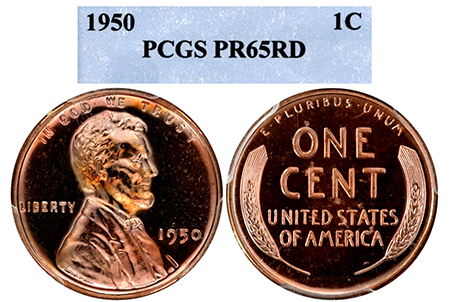 This fully brilliant, early "Box Era” Lincoln is free of black haze and toning spots that is all too frequent for this year. Deep, rich red-black color dominates this example with minimal blemishes, despite the PR 65 grade. Truly, a breathtaking example for a commonly unattractive year!